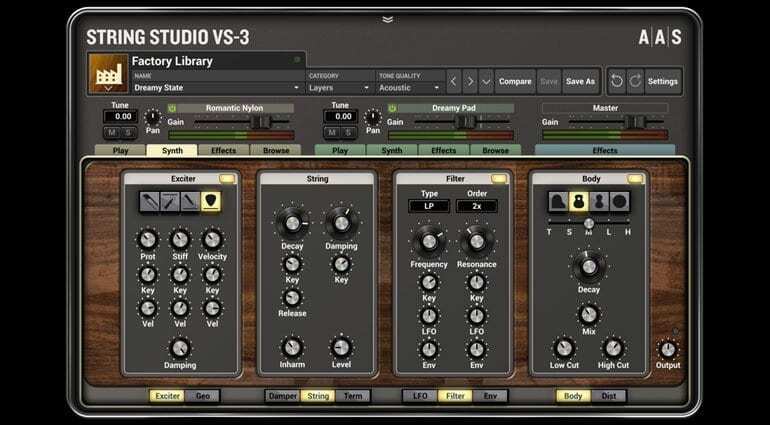 String Studio VS-3 uses a collection of unique string oscillators in place of the usual VCOs and DCOs found in most synthesizers. These form the basic sounds sources and can be plucked, bowed and hammered before routing through a blend of synthesis components. 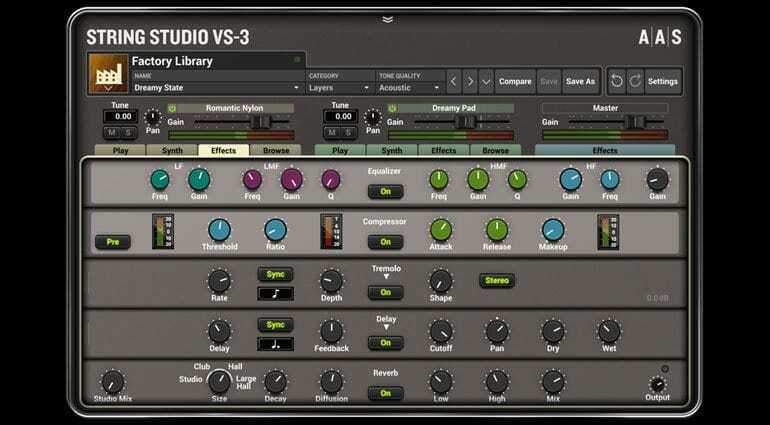 The new version brings in two voice multitimbrality by combining two independent String Studio synthesis engines. Modulation can be applied independently to each layer opening up all sorts of possibilities. 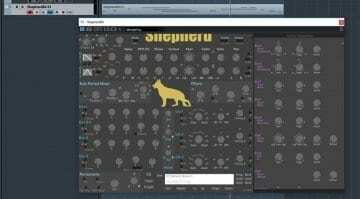 The rest of the synthesis engine provides envelopes, an improved filter, LFOs and the modelling of the soundboard or body of the instrument as only Applied Acoustics know how. 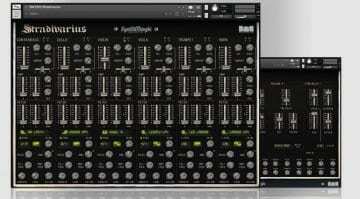 At the back end there’s a rack of studio quality effects including reverb, EQ, compression and guitar amp processors. There’s a much improved browser making it easier to find the sorts of sounds you’re after. 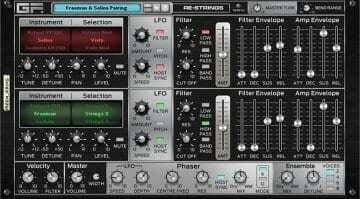 There’s a ton of new presets that have been crafted to demonstrate the power of the new 2 voice engine. Applied Acoustics continue to stick to their guns with creative uses of physical modelling. They have a unique take on how synthesis works and the origin of sounds that stands them apart from most developers. 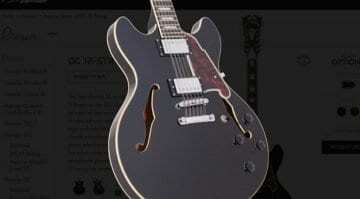 String Studio VS-3 is a great example of a tried and tested formula being made totally modern and expansive. 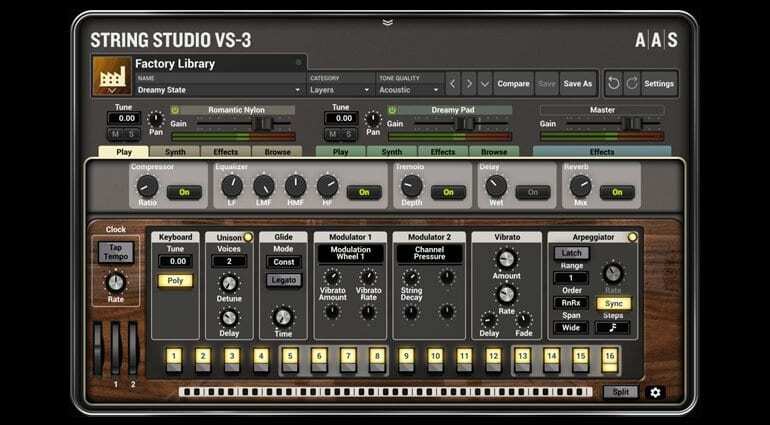 String Studio VS-3 is out now, there’s a free demo or you can pick it up for half price for a limited period of $99.